The discriminatory exclusion of manufactured homes by local governments is a major problem for the industry and consumers. It artificially stunts industry growth, while it unfairly deprives Americans of access to the nation’s most affordable housing — effectively excluding lower and moderate-income citizens from entire communities. While this phenomenon is dressed-up as “zoning” by those on the other side of the issue — in part because the federal government has historically been reluctant to interfere in local “zoning” matters — we need to be clear about what is actually going on, in the language we use to refer to it, and how we address it. The reality — in many, if not most cases — is that “zoning” is simply a fig leaf for what amounts to discrimination; discrimination against our homes to be sure, but, more importantly, discrimination against the people who buy them, own them and live in them. 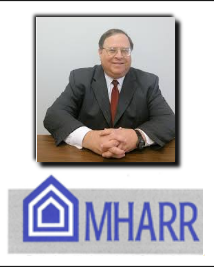 Zoning, Opening up Urban Infill and Making Sure Citizens who want Manufactured Homes are Heard MH Industry Pro – and Self-Professed “Non-Writer” – Exonerates MHI staffers?